The count down is on until we start our 2 year USA road trip and we want you to help shape our journey. 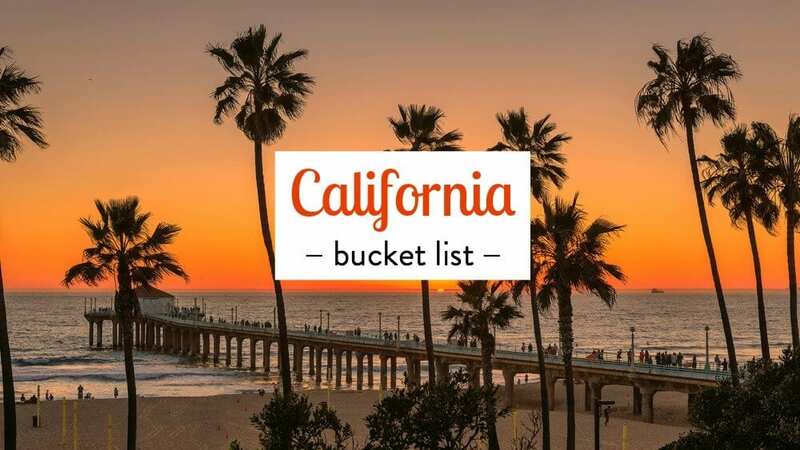 Today we want you to help us create our things to do in California bucket list. Our America Unplugged road trip is all about discovering the real America. To unplug the hidden secrets and go beyond the flashing neon lights of Vegas, Hollywood Boulevard, fast food and the skyscrapers of NYC. This is where you can share in our journey. We want to know your local favorites and the hidden gems in your backyard? What are the backroads to take and the mom and pop stores to visit? Sure, we still want to visit the obvious California destinations like San Francisco and Disneyland, but can you suggest other places to visit in California? What is California known for? And how do we get the best out of the touristy California attractions? 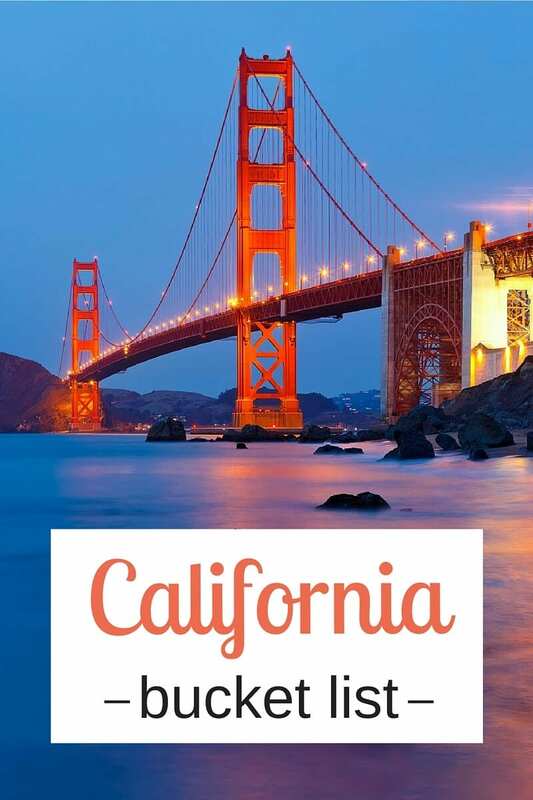 We can’t wait to read about your insider tips on things to do in Californa! And stay tuned. Over the coming months we’ll be doing the same blog post for each state. You can read the others here. We love traveling like the locals and with your help we’ll discover what really makes America the beautiful. I’ve never been as excited about a trip as this one. When it comes to travel, the diversity of America has always blown us away with its staggering range of possibilities. My first overseas trip was when I was about 9 and was taken to California! I remember Disneyland and Universal Studios were definite highlights for someone my age at the time, and even now at 20 I would kill to go back! I also remember Legoland was something fun for kids in San Diego and even San Jose might be a good place to stop! Definitely a lot to see and do in California! I can’t wait to see your travels 🙂 I love watching your snapchats! Oh yes, besides Disneyland we’re hoping to take the kids to all the theme parks in California such as Universal Studios and Legoland. I’m sure even us big kids will love those – we love movies! While in California you have all the sports there to do a sporting event, baseball, you can see battle of the bay Oakland A’s vs San Francisco Giants, football (American), hockey, basketball the Bay Area has it all! I also loved as a kid going to Santa Cruz beach the boardwalk is fun, games, rides, yummy foods! I also suggest the Exploratorium in San Francisco for the kids, I went a few years ago after only going when I was about 9 and it was still fun! If you go during Christmas time, Christmas in the park in San Jose is cool to experience as well. Lights, hot cocoa, lots of picture opportunities. 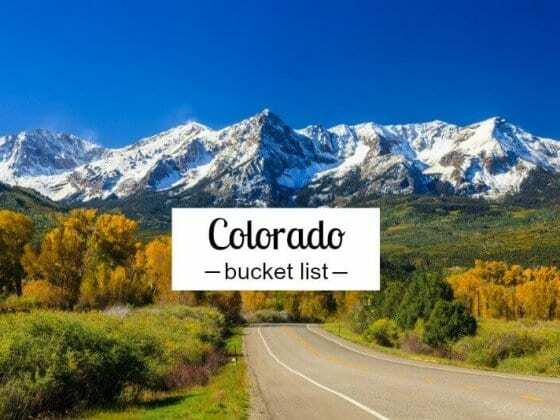 I’ll be moving back to California after being gone for almost 14 years and looking forward to taking my daughter to the places I loved growing up! I’m a HUGE sports fan and my NFL team is the Niners so would love to see a game in San Francisco. And a Golden State Warriors game to see Steph Curry would be awesome too. Is StubHub still the best way to get tickets for sporting events? And thanks for the tips on Santa Cruz. Sounds like a fun town. Will put that on our list for the Highway 1 drive! Hope your move back to California goes great! Stub hub is the easiest way to get tix if they are harder to find tickets for bigger games. But otherwise, looking through the venue or team website will still provide you with plenty of options for most games. I live near San Francisco. One of my favorite places to go is Tilden Regional Park in Berkeley. Lots of beautiful hiking trails. On some trails you can get really beautiful views of SF. They also have a merry-go-round, little farm area, a lake and botanical gardens. Great place to visit with kids! Also, if you’re taking the Pacific Coast Highway from SF down south, definitely stop in Santa Cruz. The Beach Boardwalk amusement park there is super fun. They also have other nice beaches and some good hiking spots. Plenty of interesting shops and restaurants. If you pass through Monterey, I highly recommend stopping at the Monterey Bay Aquarium. Have never heard of Tilden Regional Park, sounds cool with the kids for sure, thanks for the tip! And will have to stop in Santa Cruz I’m sure the kids will love that boardwalk. I visited Monterey many years ago but never went inside the aquarium, we’ll have to check it out. I live in L.A. but my sister lives near Wildcat/Tilden. It’s a great area and I do enjoy a hike there when I’m visiting her. Good recommendation. Ok cool. Thanks for the tip! -Death Valley National Park – Beautiful desert landscapes, lowest elevation in North America, highest temperatures in the world (tempting, I know). -Sequoia National Park – Easy hikes and beautiful scenery, home to the largest tree (by volume) in the world! -Santa Cruz for a scenic beach town surrounded by redwoods. -Other than the national parks, there are some really cool stairways in Hollywood near the Hollywood Bowl, and Angeleno Heights is a great place for a view of downtown and for a walk around beautiful Tudor architecture. -Northern California is absolutely crawling with gorgeous hikes. Mount Tamalpais is a great one just across the Golden Gate Bridge for iconic views of San Francisco. -You haven’t made a trip to Los Angeles if you haven’t gone to a Dodger game and had a Dodger Dog! -Los Angeles has some great museums, including the Getty (worth visiting for the view alone!) and the Broad. As you may have guessed, I could go on about cool stuff in California all day! Enjoy your trip! Cheers Tim. Great list of tips there, appreciate your time in sharing. Getting more excited about California by the minute! I need about a week to just typewrite – ten fingers – all the things to do and see in California. Will try to be as brief as possible. One serious piece of advice concerning travel plans you have already made: I would skip California Disneyland in favor of the Florida one. Original Disneyland is outdated, extremely crowded and not so big compare to its east coast sibling. But that’s up to you. I always favor SF over LA (SF is my favorite city in USA), LA and SS is on pair. Museum life is much more interested in LA, than anywhere else on east coast, but you have to pay a huge price in commuting. As for a travel logistic: I would suggest to drive the state meridionally and do that twice – once along the coast via RT.1 and Rt.101 (use Rt.101 between Solvang and Pismo Beach, for example) all the way from San Diego to Oregon and then back along the Sierra Nevada range (or vise versa). Seasons: any. This is the only USA state that can be traveled and equally thorough enjoyed any time of year. Of course, the travel itinerary will be really different at different seasons, but the state offers something magnificent any time of year. Having said that, I would avoid, if possible, travelling the state in summer months – the settings are bleaker due to water restrictions and many parks are unnecessary crowded. However, city hopping (San Diego-LA-SF) in summer is perfectly OK.
Orientation: I would highly recommend to purchase Delorme California Atlas and Gazetteer. Actually, I always use that type of atlases when travelling to any US states. It gives you much broader sense of surroundings that GPS, and is very helpful in planning, especially if you are nature-oriented traveler. Natural features: try to visit ALL California National Parks and National Monuments. No exceptions. All of them are REALLY good. Yosemite takes at least a week (summer is terribly crowded here, any other season is good, some winters may be snowy, but it rarely happens), Lassen Volcanic, Sequoya, Redwood (both north and south stretches), Joshua Tree require at least several days to a week each if you are interested in hiking, smaller parks like Pinnacles, Muir Woods, Kings Canyon, Mono Lake, Anza-Borrego or Mojave desert can be done via a day visit or with a short stay nearby. Death Valley NP is pretty specific place. It worth driving through at any season (allow about two days, three days if you want to go hiking toward bristlecone pines at western Death Valley or to ruins at the north of the park), however, try to get there in early March or so, when wildflowers may be in bloom, if rain cooperates. Choice of lodgings are limited here and Furnace Creek Inn is the only viable opportunity. Russian River, Napa, Sonoma and Alexander Valley (the last one is often overlooked, and vastly underestimated) are all worth to drive through and visit all (or some) of the breweries. Wine testing here is legendary/ If you are up for a sour beer, don’t miss Russian River Brewery in Santa Rosa. 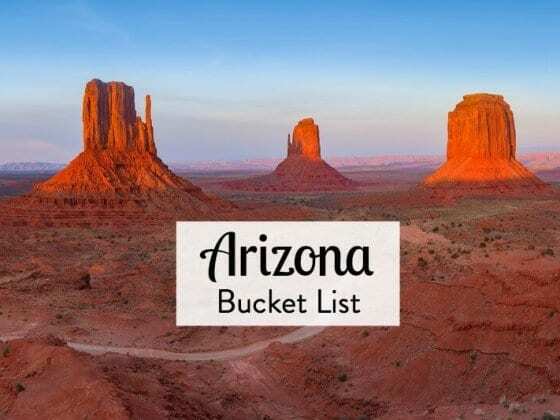 Drive from desert to San Diego via Cleveland National Forest may surprise everyone: on couple occasions we got from a snow at vicinity of Pine Valley to a swimmable ocean at San Diego in just 40 minutes. If you are interested in details, just E-mail me with questions. Love your “5 cents” worth of tips Ivan. Incredible. Looks like we’ll be in California for 6 months now, lol, so much to see and do, love the diversity of the state. You’ve certainly been around California and have given us lots to think about. Cheers!! Cheers TripsNirvana. Will definitely have fun exploring California, appreciate you sharing your insights! Very excited for you. We are full-time travelers and before that residents of California for 16 years. Here are some of our faves as residents and as road warriors. (We travel around the western US in an Airstream trailer). San Diego is awesome – for camping Mission Bay is our favorite RV park for being super central, if you want old town beachy feel then San Elijo state beach in Encinitas is great. I’m not a fan of Orange County, but for a drop dead amazing campground try Crystal Cove State Beach – well worth a few days for killer SoCal views. State beaches can be tricky to get into – some need to be booked well in advance. LMK if you want some tips to score them. As some others said don’t rush through the Central California Coast – Pismo Beach North Beach campground is a great base to explore the area – highlights in this area are Avila Beach, Montano d’Oro State Park, Morro Bay, Paso Robles wine country, Hearst Castle, Cambria. Carmel, Monterey, Capitola and Santa Cruz are great too before you get to the SF Bay Area. Our favorite campsite is New Brighton State Beach. One in SF Bay Area good camping can be hard to come by, we stay in the East Bay near Berkeley at Anthony Chabot Regional Park. You can get BART (the light rail) into downtown SF from here. I agree with the person who said to explore the coast and then the inland rather than criss crossing the state. Avoid inland in the summer though – it gets super hot. There are lots of other inland places but I would definitely add Lake Tahoe. Awesome hiking, killer views, lots to do. I could go on all day, but those are my main picks. For great campgrounds I strongly recommend checking out Campendium. The reviews there are from all kinds of travelers and lots of families who travel with kids review there, so it should be right up your street. I’ll keep following along with your blog and who knows maybe we’ll bump into you on the road. Don’t miss Santa Barbara! Our beaches are often rated in the top 10 and we are home to the “Queen of the Missions.” We have a great Summer Solstice parade (Google it, it’s outrageous). After Santa Barbara head over to the Santa Ynez valley. Solvang is an cute little DANISH town that’s fun to see, but we love to get out in the country to taste wine, see mini horses, visit the lavender farm, pick apples or visit the ostrich farm. The kids will love it! Yosemite is amazing and worth seeing… We love the north coast too, specifically Dillon Beach and Point Reyes area. The Giant Redwoods are fun to explore too.. The Oakland Zoo in the bay area is an amazing zoo and the town of Capitola near Santa Cruz is great. Great tips Ellen much appreciated! We love eating, so food festivals sound like fun! And can’t wait to walk amongst those Redwoods!! You have already recieved so many great travel tips, so I will just give you one that I recieved on my first trip to California. First of all you NEED to drive down the Highway 1/Pacific Coast Highway, AMAZING! Locacted on Highway 1 there is this truly unique restaurant with the best view I have ever had while eating my lunch. It´s called Nepenthe and is located near Big Sur. The food is average, but nothing can beat the view. Wish you a great trip, I´m sure you will love it. Cheers Rejser. Definitely doing Highway 1 and exploring everything around that drive as much as possible. Like the sound of that restaurant near Big Sur!! I was born and raised in San Francisco till 18, and although I live in the Black Forest in Germany now, I still consider myself a California Girl. There are so many great things to do there – on the MUST do list is Lake Tahoe – nestled north of Yosemite off Highway 80 and split by California and Nevada – you can conquer two states in one! It’s absolutely breathtaking – and go in the winter if you want to ski – there are SO many great resorts. Summer is all about hiking and water sports. There’s an endless amount of things to do for families. Just south of San Francisco is Santa Cruz and Boulder Creek. Here you have Big Basin – home of the giant redwoods, a steam engine train day excursion for the family through the redwoods (can’t miss) and in Santa Cruz a fun Boardwalk, beach and so much more. North of San Francisco, you have Muir Woods on your way out to Stinson Beach – you’ll all LOVE that. There are wildlife parks and tons to do here too. While in San Francisco, there are two beaches you’ll want to check out – Baker’s Beach – breathtaking views of the Golden Gate from here, and on the Western side – Ocean Beach. Ocean Beach stretches out from the Cliff House (seal rock)/at the most western part of Golden Gate Park – all the way to Pacifica – miles and miles. Along the way – hit the San Francisco Zoo! Golden Gate Park has more than you can imagine – Aquarium, Museums, gorgeous parks, lots for the kids, Planetarium, and don’t miss the Japanese Tea Garden! And the best authentic mexican restaurant is a tiny little place in West Portal called El Toreador. Definitely cross the GG bridge – you can bike or walk it too! All the touristy stuff is fun, the piers, Alcatraz,etc….but if there in warmer weather – there are great events in all the parks around the city – concerts and more than you can imagine. On the way to Yosemite, a few hours outside check out Columbia outside of Sonora for a real live throw back to the Gold Rush days. It’s a park set up just like it was back then – pan for gold, get a feel for the wild west – it’s a great day for the family. We did it a lot when I was a kid eons ago. You can also check out the O’Shaunnesy dam (Hetch Hetchy) outside of Yosemite. Known as Little Yosemite. Great hikes and waterfalls. Yosemite – spend some time there – breathtaking does not cover it. If you can, get a permit and not just hike to the top of Half Dome (depends on your fear of heights going up the ropes with the kids) on the side – but spend the night up there. Waking up on top of half dome is unbelievable. I’m deathly afraid of heights and I still did it – was unbelievable – I just kept looking at the granite under my feet. The hike will take you past Vernal Falls – just gorgeous. South of San Francisco (a few hours) is the coastal town of Monterey. Gorgeous beaches and of course the world renowned Monterey Bay Aquarium. Plus there are a lot of Cavern type adventures throughout California too. So much to do! Have fun!! Love the look and sound of Lake Tahoe. We’ve only ever been skiing once before so looking forward to doing more of that in the US. But summer sounds incredible too! Fantastic tips on San Francisco and surrounds too. Much appreciated. Seems like California pretty much has it all. We’ll be busy!! 8. Muir Beach overlook of the Pacific Ocean. (He was a Preservationist of the Ca. wilderness) 9. Mammoth Lake 10. Beach volleyball tournament in Hermosa or Manhattan Beach. 11. Hearst Castle tour. 12. Hang gliding off the cliffs near LaJolla. The greatest thing about my home State is that there was always something to do. 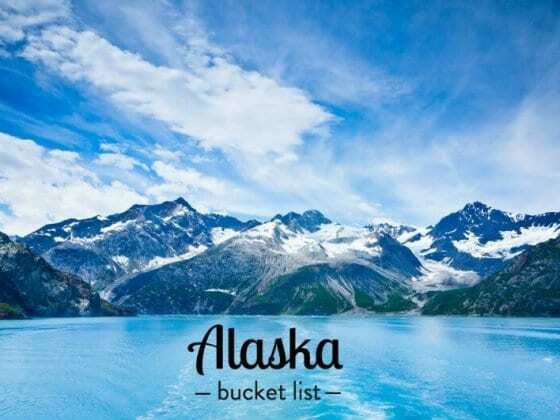 The list of the things I’ve done would turn into a very long bucket list. Perhaps I should be a tour guide? Living in Michigan is not the same. I must make it back. Sorry for the long response. One thing that I would really like to try is going on whale watching trip from San Diego. And NOT the ones in SeaWorld but the real deal. That is one of the things highest on my bucket list on my next trip to California. Totally. Whale watching with the kids off the coast of San Diego would be cool. You will probably drive through these cities to get to Redwood National Park…but Ferndale, Eureka, Arcata, and Trinidad are definitely worth stopping in. They are all in Humboldt County, and along the 101. The entire city of Ferndale is from the victorian era, and a number of movies have been filmed there (like The Majestic and Outbreak). Old Town Eureka is full old victorian-era buildings, music, and artists. If you happen to be driving through on the first Saturday of the month, be sure to stop in Old Town for Arts Alive in the evening. Arcata has some of the areas best local restaurants, and has a victorian-era plaza. Check out the Jacoby Storehouse on the Plaza for a tour of a victorian era store. If you are there on a Saturday morning, check out the farmer’s market on the plaza. It has music and great, local food and goods. Trinidad is a gorgeous fishing village with beautiful beaches and great hikes. Fantastic tips Kimberlie. Never heard of these places. Thanks for sharing!! I feel like I owe you a few tips, we’ve gotten so much out of your blog. In fact, we’re in Sydney now and used your advice from your post about Pretty Beach/Pebbly Beach to plan a trip to check off one of my bucket list items – to see kangaroos in the wild. So, a lot has already been covered but I’ll add some of my “born and raised in CA” tips. 1. DO walk the Golden Gate Bridge but don’t expect San Francisco to be warm, even in summer. In fact, it’s often colder in summer than any other time because the warm East Bay pulls the fog over the city like a blanket. The fog even has a name, it’s Karl. Just plan for any kind of weather, because you’ll probably get it (though I hope you get lucky). Layers, layers, layers. 2. If you love wine, I suggest heading north to the Napa Valley for some wine-tasting. My favorite winery is Hess because there you can also see The Hess Collection – an amazing collection of art. The drive to Hess is utterly stunning, you’ll get the redwoods you’re looking for without having to go too much farther north. Also, do the Silverado Trail drive if you’re in the vicinity. If you had any wonder of how so much wine comes from the Napa Valley, you will no longer wonder where it comes from. 3. If you are driving from Northern to Southern CA, I recommend taking a slight detour to San Simeon and visiting Hearst Castle. There’s really nothing quite like it. If you head back to Highway One near San Simeon, you’ll likely encounter hoards of elephant seals just lounging on the sun on the beach. 4. I’d do Santa Cruz Beach Boardwalk over Disneyland any day. It’s right on the beach, and has more of an authentic boardwalk feeling. Waaaaay cheaper too, and less crowded. Also, there’s a charming town next to Santa Cruz called Capitola that is worth a visit for the afternoon. Ha, love that the fog has a name. I guess we’ll be meeting Karl at some stage, lol. Greatly appreciate all the tips. Getting more excited by the day! I’m a little behind the 8-ball on this, but as a native Californian, I wanted to add my 2 cents. If you want hiking, the Monterey bay area has some great trails- Pt. Lobos is beautiful, as is Garland Ranch Regional Park. Cannery Row in Monterey is historic, but also fairly touristy and pretty small. Kayaking on the bay in Monterey is great, and you can go with a group to get a guided tour and if you aren’t comfortable heading out on your own. I have to disagree with Ivan and say the Monterey Bay Aquarium is absolutely a must see. It’s regularly rated as the best Aquarium in the state, the country and sometimes the world by various guides and websites. It is a bit pricey…but I think it’s worth it. You can see animals there you won’t see in any other aquarium in the world. Carmel Valley Village- my hometown!- is small, but has some beautiful wine tasting spots and usually beautiful, sunny weather. When are you guys going to be coming through that part of the state? Hey Stephanie. Greatly appreciate your 2 cents 🙂 Thanks for sharing, not sure on dates yet for California but can’t wait! Definitely have to do the big sur drive between san fran and los angeles. Absolutely great scenic drive. Agree with other commenters about sports but that can be done across the whole country. Yep, can’t wait to see the big Sur area! Since you’re going to San Diego, you may love traveling a little north and inland from there to see a growing hot spot in Southern California. The Temecula Valley is a burgeoning wine country, and it’s home to the state’s largest resort/casino where you can also learn about Native American history on specialized tours provided by the tribe that also runs the resort. It’s a slice of Las Vegas without the crowds, high prices and offer more understated panache. Please let me know if this is of interest. I am glad to set you all up for a stay and activities at Pechanga Resort & Casino. Ooh, we do love a wine region Ciara. Thanks for the recommendation of The Temecula Valley and the offer. And we definitely want to engage and learn about Native American history on our trip. Also, apart from that – As a native San Franciscan, you really should check out Lake Tahoe. Only about 2 hrs from Yosemite and lake is in both CA and NV. Lots of stuff for families & kids there, too. Lake Tahoe is definitely on our California bucket list! Death Vally National Park! It’s where the Tattoine scenes were filmed from the first Star Wars! Hi, I don’t know if I’m too late, but in San Diego, I would go to Coronado Island. The beach there is really nice, and perfect for the kids. We love to go there and feel the island lifestyle! Having dinner at Seaport Village in San Diego is really nice. La Jolla worth the stop and there is a restaurant (also at Seaport Village) named Puesto (mexican modern style)… love it!! Also, Joshua Tree and Death Valley are a must to me. Just to name them, because we saw some other parks and everyone has something special. As you want to see it like a locals, talking about island lifestyle, you could go to Balboa Island, Newport Beach! If you play golf, or just to relax (we do not play golf and love it there) you can do a little 1 or 2 nights in Palm Springs. The Aerial Tramway can be cool and you can relax in one of the resorts there. On my website, you can find some activities we did in California (we moved from Québec to South Cali) but it’s in French!! If you ever speak French, look at it! From NY and we did this trip last year. Los osos, nice little stop on the coastal highway. The elfin forest is there and morro rock. Frankie and Lola’s front street cafe had some great breakfast. Monterey bay aquarium on your way up to San Fran. Amazing place. Lands end park in San Fran. Muir Woods north of San Fran is beautiful. Little late cause the reservations go as soon as they are available but Alcatraz was awesome. We went inland for a day to California Gold Panning in Jamestown. It was a little operation but well worth the trip, a great guy runs it. We had a blast and found a little bit of gold. the San Francisco trolley is a nice ride and the bell ringers all come up with some pretty original ways to clang, clang, clang, goes the trolley. Some of the best live theater is also avalable. A walk on the boardwalk will lead to Gerradelies candy house, all kinds of eateries and Ripplies museums, Alcatraz , the marine museum, and Coit Tower, and that squiggly piece of road that says San Francisco all by it’s self. A little to the north is the Winchester house with guided tours, and all those 13 high stairways that go nowhere. The Botanical gardens are also nice and if you happen to catch a Tai Chi class join in . The Pan Handle has allways has something going on and usually free. A skip and a jump away is the San Francisco museum. Enjoy! Hi Ralph, thanks for the San Francisco suggestions! Hey Vince. Great tips, thanks! If you’re in the Long Beach area the Queen Mary is a must see. Their Sunday brunch and tour is spectacular. For the heartier souls the haunted tour is fun as well. A great educational spot for kids and adults in the L. A. area is the La Brea tar pits. It’s an active archeological dig with plenty of hands on activities as well as a live lab where you can watch technicians recover artifacts. Who doesn’t like dinosaurs anyway. Hey Gary, ooh that haunted tour sounds fun, and never one to knock back a Sunday brunch. Cheers! Being in Northern coastal California, there are plenty of places to see the Redwoods, but we liked driving the Avenue of the Giants best. Plenty of places to stop and hike around. If your stay in these parts is prolonged more than a few days, you could probably see it all but if just driving through, I think this offers the best experience. As far as Disneyland goes, Ivan mentioned that you could skip it and go to Disney World in stead. If you plan to do DW, you could probably heed this advise, but Disneyland still has much to offer. It is smaller, yes, but it is cheaper, better weather, and it is where Walt first made his vision…so there is nostalgia. Also, I know your kids are a little on the younger side for thrill rides, but also check out Six Flags and their many locations across the US. Thrill rides and roller coasters are a BIG part of what people love about America. Worth checking out. And yes, Six Flags looks like a blast! I have post about them on my blog, if you want you can check it out. Hi Renato, thanks for your tips on things to do in California. Tahoe and Death Valley look amazing. Yeah, can’t wait to explore ALL of California. Thanks for the heads up about SunnyDay Scoot. Sounds like fun!